At the start of Chodesh Elul the Tzadik Reb Itzel of Petterburg zt”l stepped up to the Aron Kodesh, opened up its doors, and with tears streaming down his cheeks screamed out, “Modeh Ani Lifanecha! I thank you Hashem! “She’nasata lanu Chodesh Elul,” for giving us this special gift, the month of Elul!” Reb Itzel’s words were a reflection of his feelings of excitement and enthusiasm as he gazed upon the month ahead of him. But even more than that, his words were a revelation of the mindset that each and every one of us should truly have during this special time. Elul is a present from Hashem, a month filled with so much opportunity. All we need is a bit of understanding of what this month is really about, and we too would embrace it. All year long we navigate through our calendar. Every day has its calling. There are days we rejoice and there are days we mourn. There are days we dance and there are days we cry. A Yid is constantly changing his tune, singing the song that our Father waits to hear at that time. 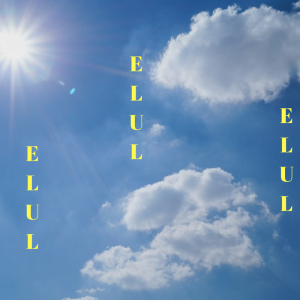 The month of Elul has a unique melody. 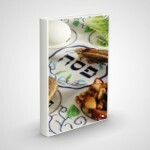 From beginning to end, this month has one theme – building the relationship between a Yid and the Aibishter. The seforim address this theme at length. In fact the acronym of “Elul” signifies this unique relationship: “Ani l’dodi v’dodi li.” A Yid says, “I am to my beloved, I am to Hashem; and Hashem is to me.” “Ani” the entire “me,” my actions, thoughts, and feelings are all for my Creator. There is no part of me that doesn’t strive to become “one” with Hashem. And Hashem in turn reciprocates to become “one” with me. During these thirty days before the New Year, our focus is to strengthen the most important relationship that exists in the universe – the relationship between a Yid and Avinu Shebashomayim. When we talk about ahavas Hashem, our minds think of great people. We remind ourselves of the hundreds of stories we heard of Yidden that displayed this great ahava in the boldest of ways. We heard of Yidden who starved themselves to avoid eating forbidden food. We heard of Yidden who secretly blew shofar and lained the Megillah. We are not only commanded to love Hashem; we must do so with all our heart and soul. All the stories we read about those who gave up everything for their love of Hashem are live examples of the “viyahavta” that each and every one of us is commanded. The “ani lidodi” that this month stands for is really an obligation that we’re forever reviewing. But we’re left wondering, how? How can we place these feelings of love in our hearts? Reb Akiva Eiger zt”l tells us the secret to this is revealed in our daily davening. Right before we say “viyahavta,” we speak of Hashem’s great love towards us – we say the bracha, “habocher bi’amo Yisroel bi’ahava.” The key for a Yid to acquire ahavas Hashem is by recognizing and understanding the tremendous love that Hashem has towards him. As soon as one comes to this realization, his heart will automatically return the love to Hashem. A Yid must become conscious of the thousands of chasadim that Hashem does for him; and he must understand that this is just a small demonstration of the tremendous love that Hashem has towards him. Like every mashgiach, Reb Itzel used to give shmussen during the Yomim Noraim period. But instead of talking about yiras ha’onesh and pachad hadin, he would focus on the chasadim Hashem does for a Yid and the hakaros hatov that a Yid is required to have. Our mission in Elul is clear – ahavas Hashem. The instructions are well-defined, recognize Hashem’s greatest love towards us. But there is still the age old issue to be dealt with, mitzvas anoshim milumadah. We don’t want a superficial relationship. We don’t want a relationship that needs constant reminders of the other party. We want to wake up with thoughts of Hashem and go to sleep with those same thoughts. We want to feel the bond that Yosef Hatzadik experienced – “Ki Hashem eeto,” Hashem was with him! But, Rashi tells us this requires “Shem Shomayim shogar bepiv.” We have to TALK about the Ribono Shel Olam! And we have to do it all day! Of course, we believe Hashem gives us everything. But the love that generates from this belief can only materialize if we talk about Hashem. How can we bond with the One who is forever handing us all types of goodies, when we make mention only of the goodies and hardly of Him. The main part of recognizing Hashem’s constant chasadim is expressing that recognition in words. We have to learn from the Yidden of the past. They never stopped talking about Hashem. And they never stopped talking to Hashem. I knew a Yid in Boro Park. A real amoldikeh Yid from Europe. When he sat down to eat, he’d say, “G’loibt der aibishter ich ken essen [Thank you G-d that I am able to eat].” When he’d mention his family he’d say, “G’loibt der aibishter ich hub ehrlicher kinder [Thank you G-d that I have such fine children].” When he felt a pain he’d say, “Oy aibishter gebt mir koach [Oh G-d, give me strength].” Whenever I sat with him, I saw a clear vision of a man with the deepest bond to his Father in Shomayim. He really lived with Hashem. And he showed me how to do this in the simplest way. Just talk about Him! We know Hashem takes care of us. We know our health, parnash, and nachas all comes from Him. We just have to start incorporating this understanding into our speech, words that clearly express this knowledge. We have to talk to each other with constant mention of Hashem, and we certainly have to talk to our children this way. The Posek Hador, Rav Moshe Feinstein zt”l, writes in Igros Moshe that parents should tell their child consistently that everything that he or she receives from them is a gift from the Ribono Shel Olam and they are only delivering it for Him. If you do so, writes Reb Moshe, the child will develop a natural love for the Ribono Shel Olam. And he adds that the child will love his parents as well, since they’re Hashem’s messengers.